Swiss health care giant Roche reported a 7 percent rise in 2018 sales on Tuesday, highlighting strong demand for its new range of medicines. Group sales climbed to 56.8 billion Swiss francs ($57.2 billion) with net income increasing by 24 percent, which included the benefits from the U.S. tax overhaul in early 2018. This beat an estimate in a Reuters poll which had predicted sales of 56.4 billion Swiss francs. The firm said it expects revenue to grow in the low-to mid-single digit range this year and predicted that it would further increase its dividend for shareholders. Core operating profit rose by 9 percent on a constant exchange rate basis. 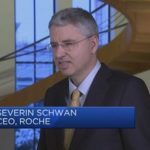 Roche CEO Severin Schwan told CNBC the results were “very strong” and showed “continued strong momentum” for the company. Shares climbed 1.8 percent in early deals on Thursday. “In 2018, Roche achieved very good growth in both divisions. I am particularly pleased with the very strong demand for our new medicines, delivering significant benefit for patients fighting serious diseases like cancer, multiple sclerosis and haemophilia,” he added in a statement. Its diagnostics division saw revenue grow 7 percent during 2018 with its pharma unit growing by the same amount. It stated that key growth drivers were the new multiple sclerosis medicine Ocrevus and cancer medicines Perjeta, Tecentriq, Alecensa as well as the new haemophilia medicine Hemlibra. 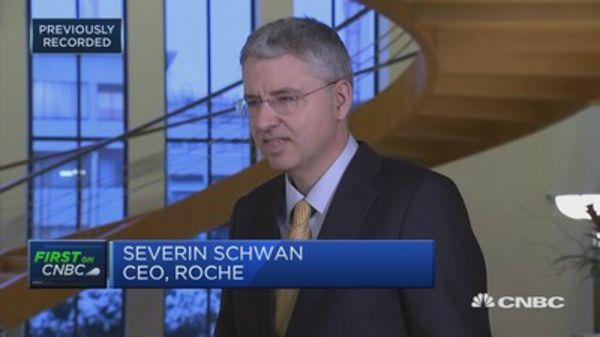 Schwan said new medicines accounted for 90 percent of the firm’s sales growth in 2018 and called the Ocrevus launch the “most successful” in the history of Roche. “And with our research-driven, innovation-driven strategy I think we are well positioned because we can bring this real benefit to patients. And my experience is, in particular in the U.S., the society is also prepared to reward this kind of innovation. So I am confident that the United States will remain a very attractive market,” he said.